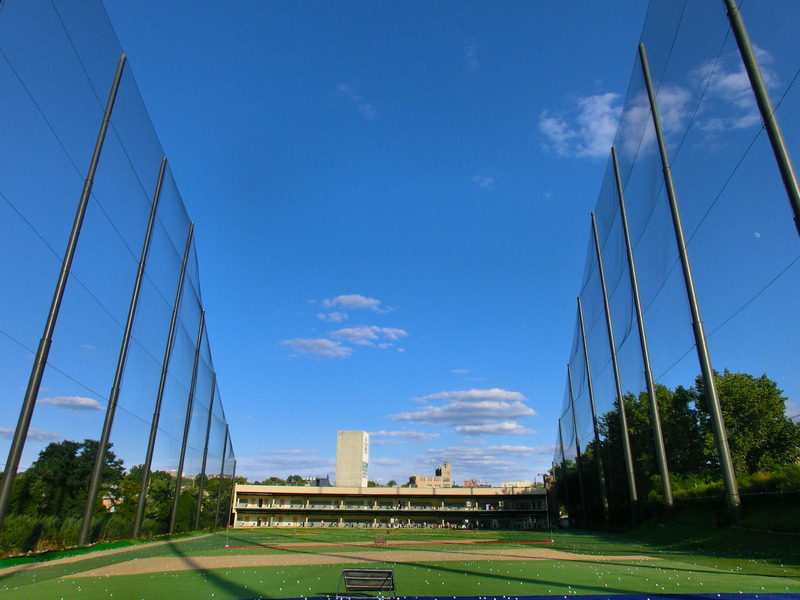 21Golf next to Palisades Park is one of GRN’s favorite projects, and also one large structure. 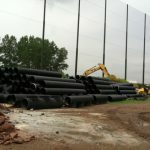 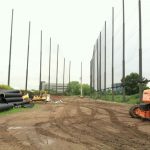 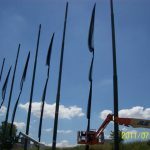 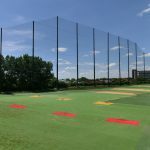 While many sports netting projects often use poles as short has 50ft, at Golf Range Netting we have had the pleasure of working on the tallest sports netting installation projects in the United States. 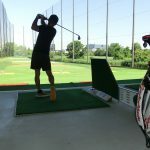 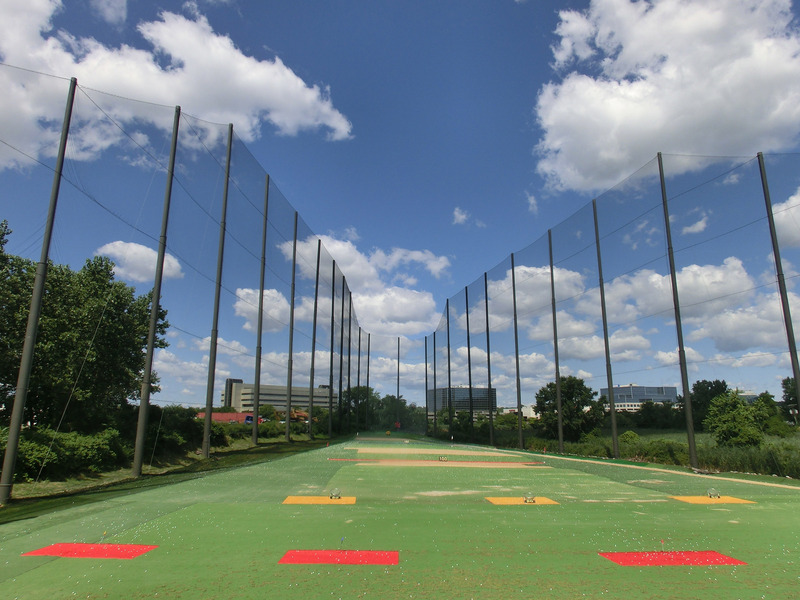 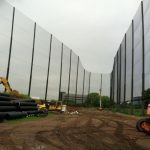 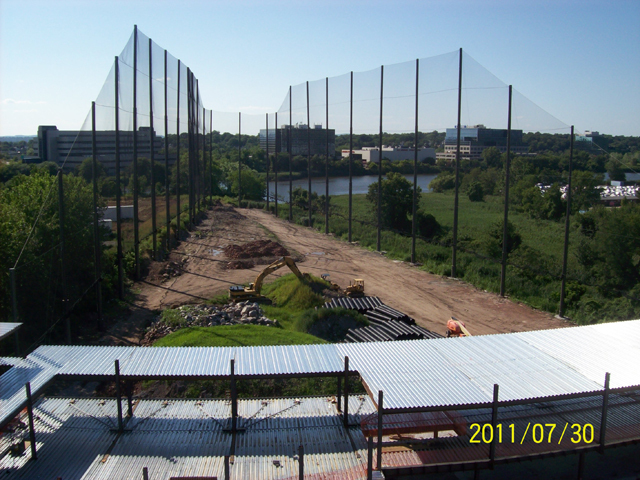 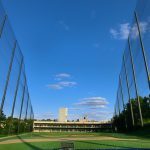 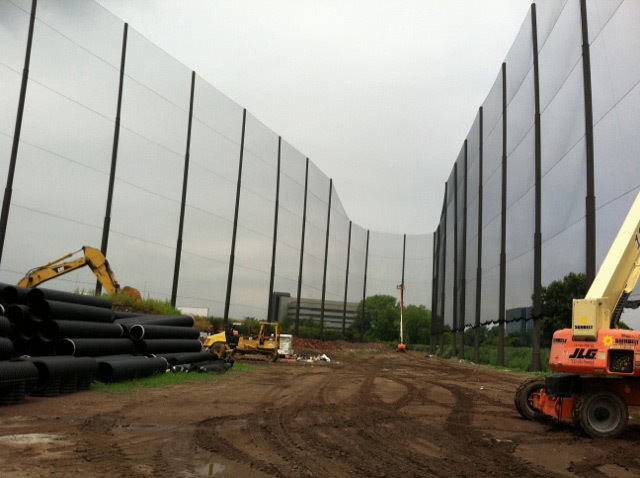 During the Summer of 2011, we completed a sports netting project for 21Golf at Palisades Park in New Jersey. 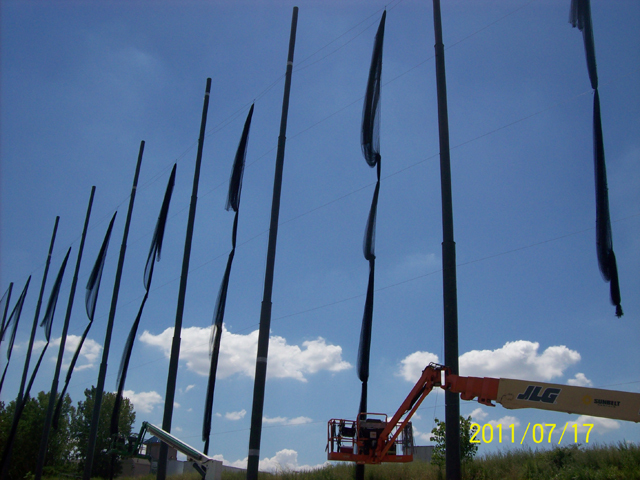 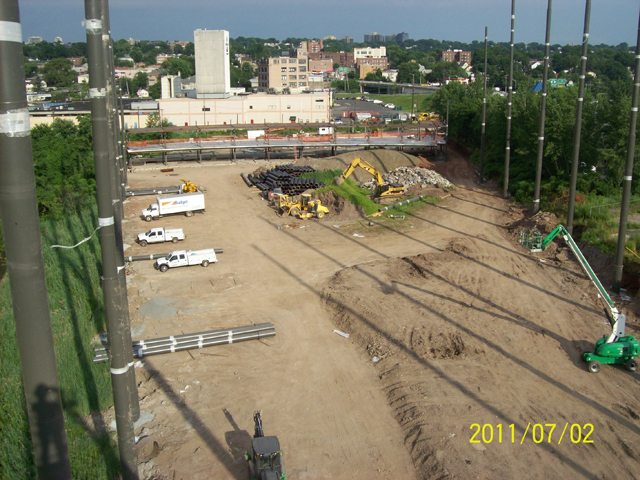 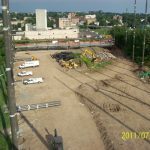 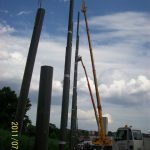 This project required an installation of 150 ft. steel poles and a custom designed barrier netting. 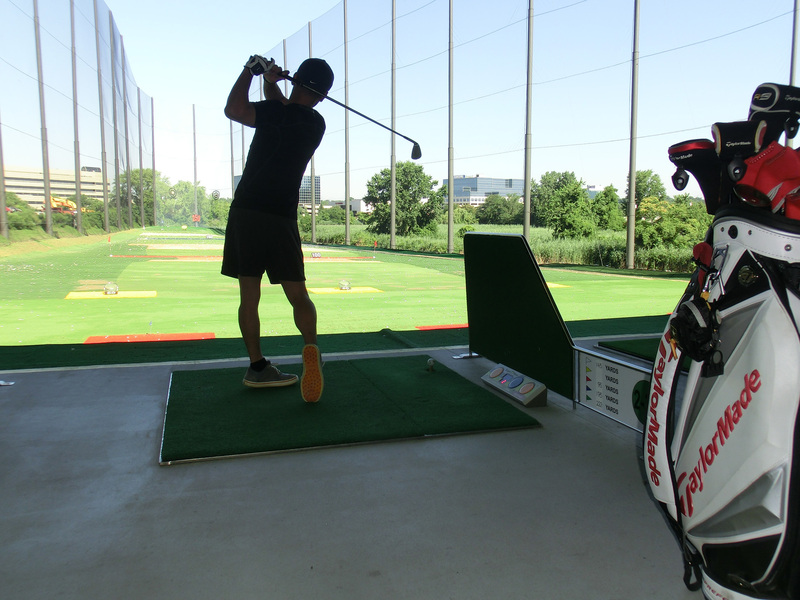 You definitely read that correctly. 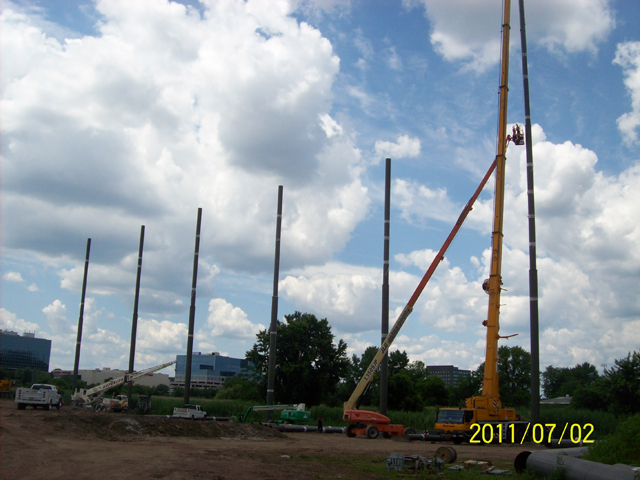 Steel poles that are a whopping 150 feet tall. 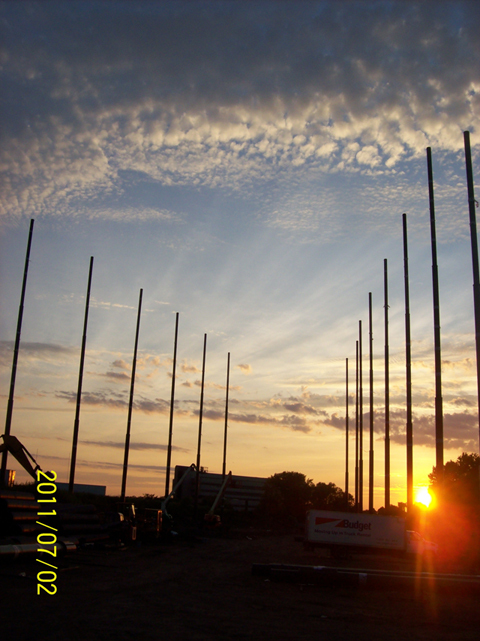 Merely setting the steel poles took roughly two weeks. 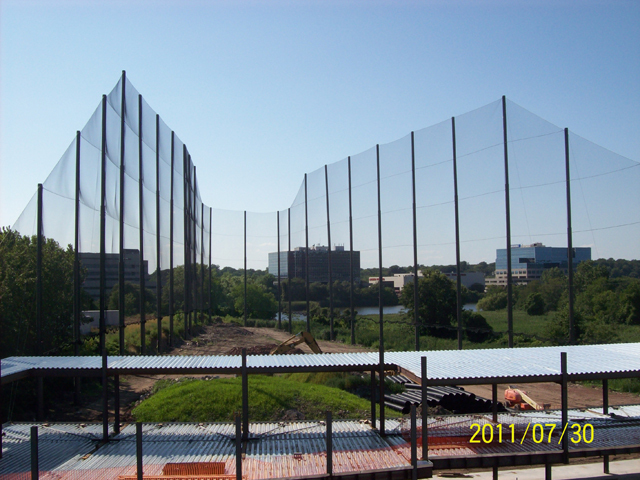 During this project, we even fabricated some of the netting panels on site. 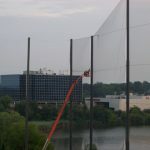 The completed sports netting project used over 180,000 sq. 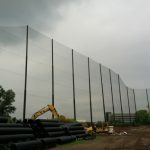 ft. of barrier sports netting and 28 total steel poles. 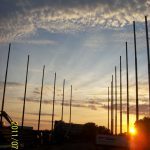 It was quite the project, but the results were an outstanding finished product to the satisfaction of the owners and visitors of 21Golf. 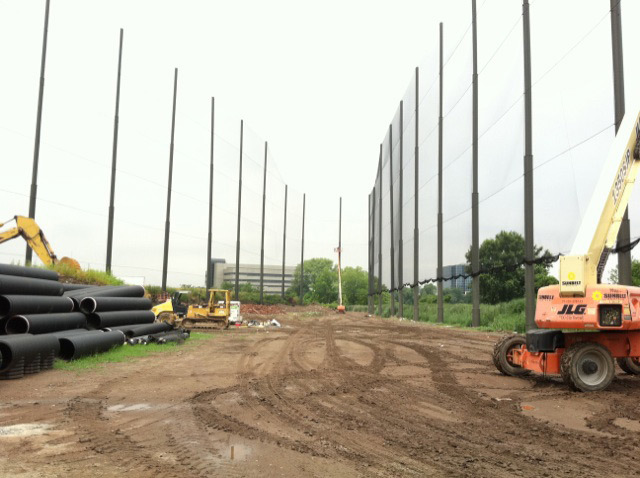 As you can see, no project is too large for our team. 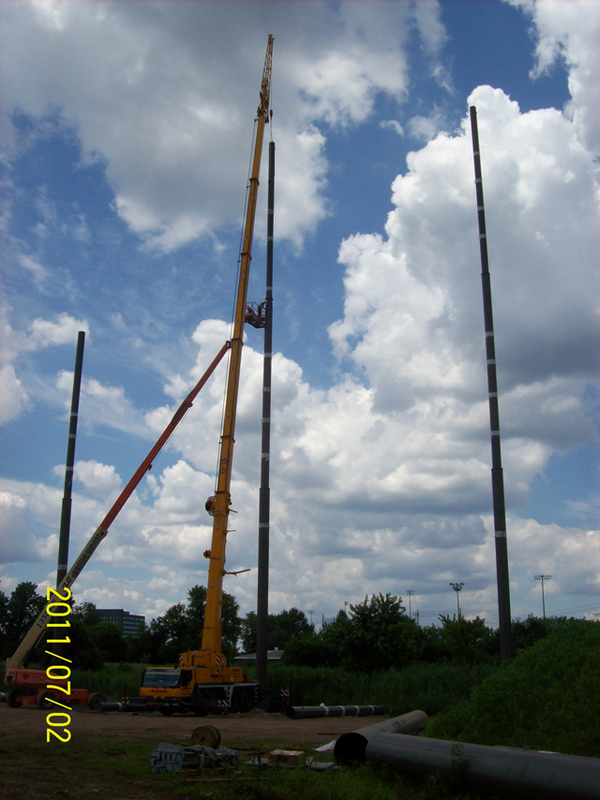 If your facility requires some very tall poles, then this is absolutely not a problem for us. 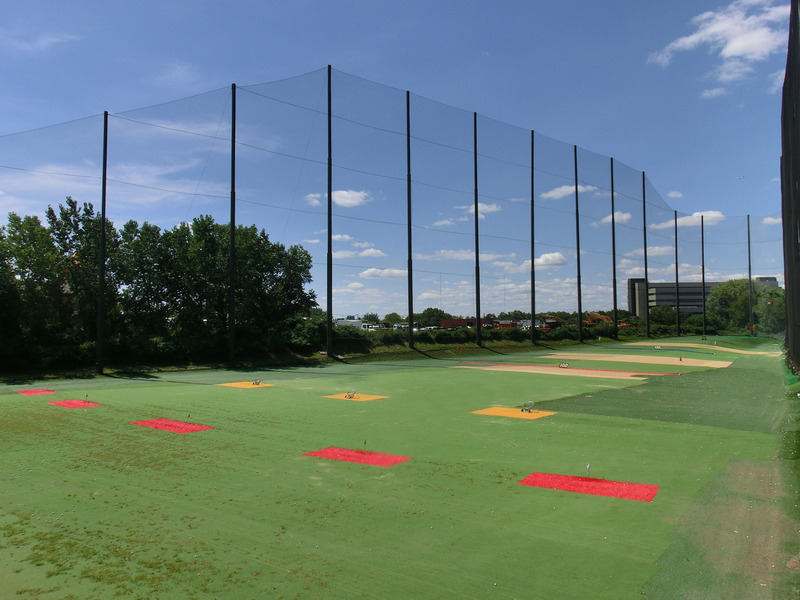 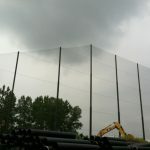 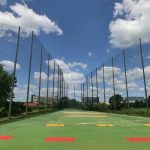 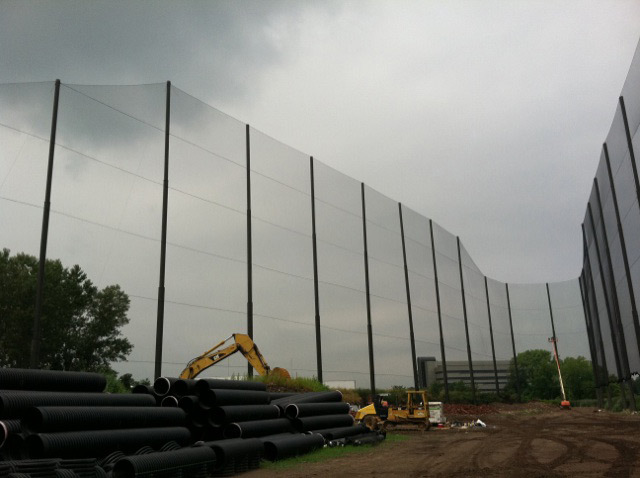 At Golf Range Netting, we pride ourselves in completing tremendous projects–such as the tallest sports netting installation in the US–with top-quality service at a reasonable price. 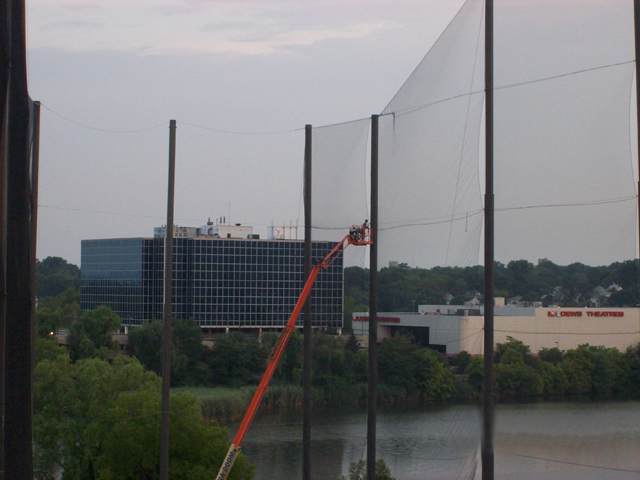 We are so confident in our sports netting services that we provide the most comprehensive guarantee in the industry. 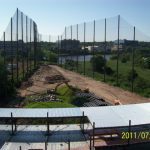 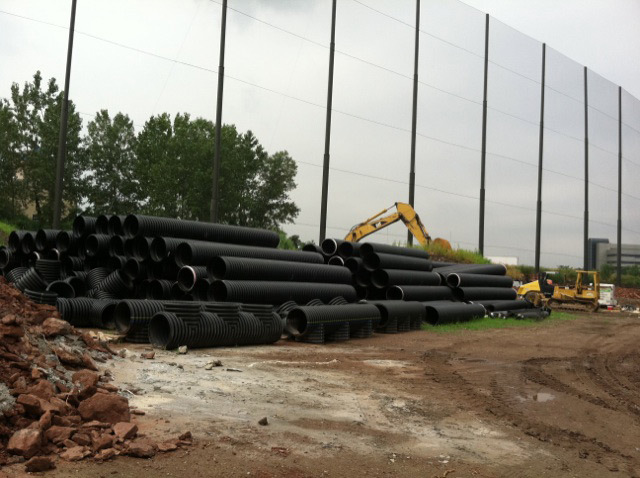 Even with grandeur projects such as the netting and pole installation at 21Golf, we provide the same top-of-the-line guarantee as we do with all of our projects. 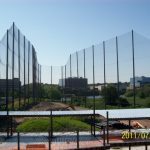 We welcome challenges and we will take on any custom sports net projects from tennis and baseball to soccer and driving range netting. 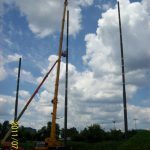 No project is to big or too small–the sky is the limit! 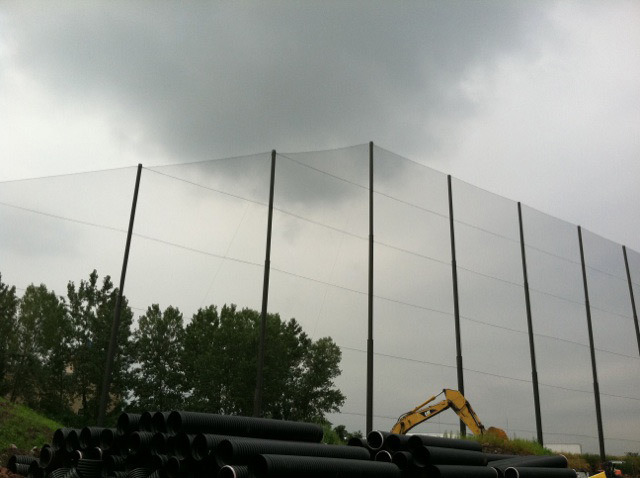 Contact Golf Range Netting today!